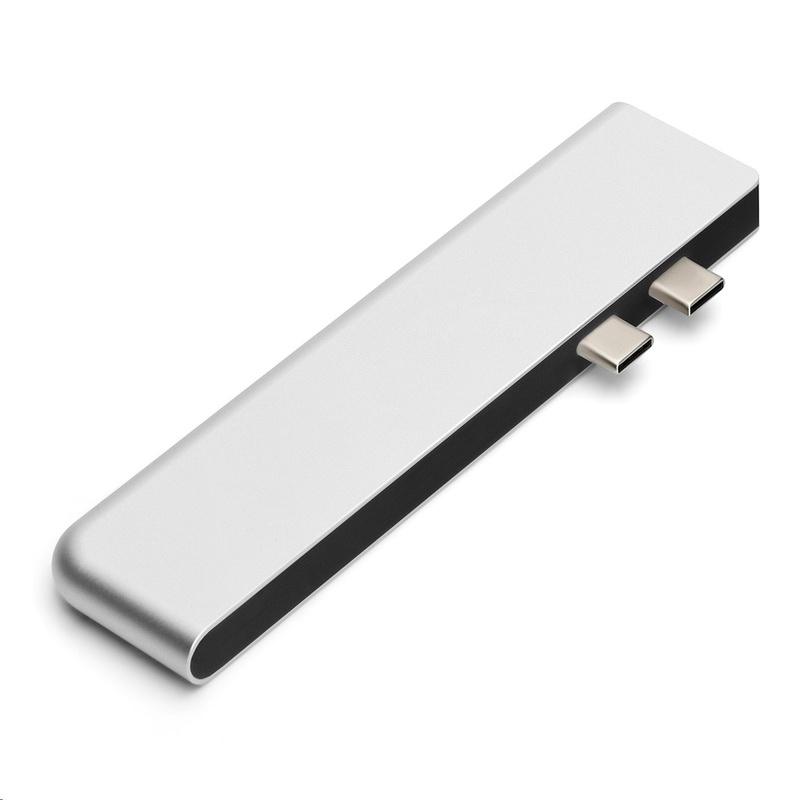 This exceptionally compact, elegant adapter truly is the perfect companion for Apple MacBook Pro. 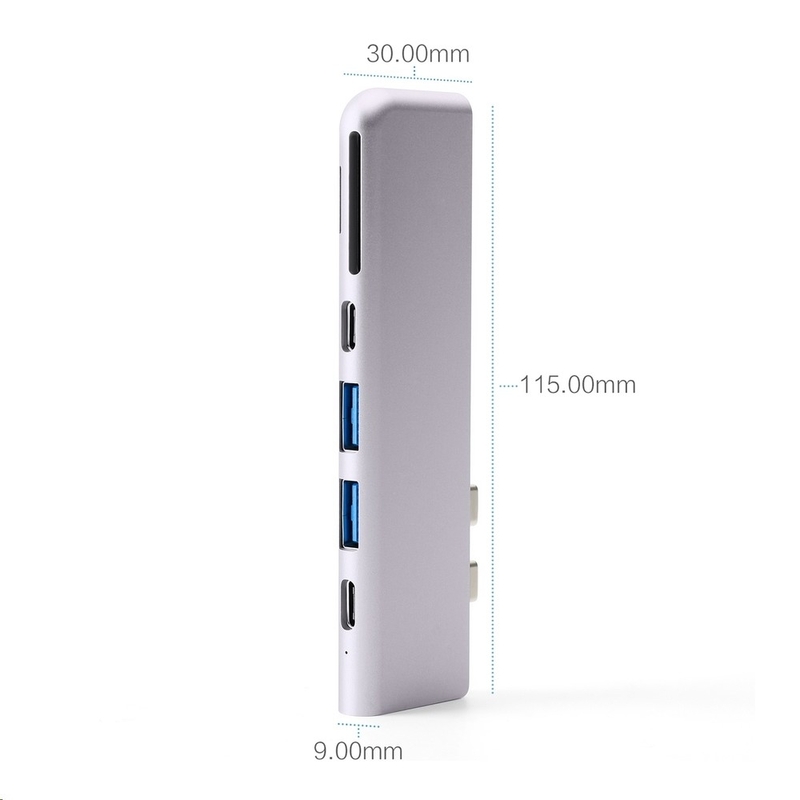 Featuring a total of seven ports that can all be used simultaneously � HDMI, 2 x USB 3.0, Thunderbolt 3, USB-C, and Micro SD and SD card readers. 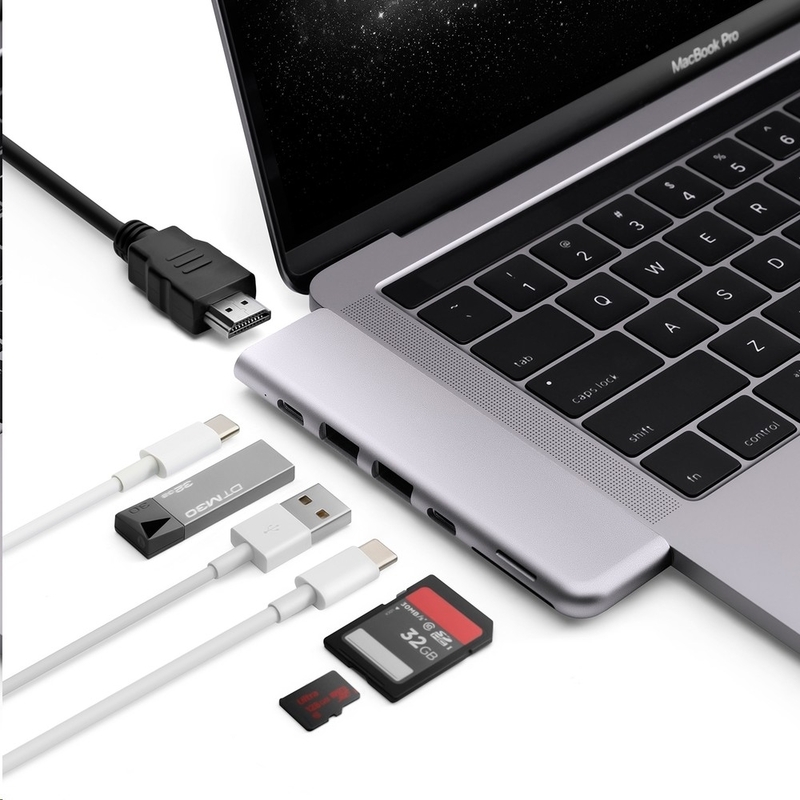 The adapter�s passthrough charging capabilities support up to 100W power delivery to charge both 13� (61W) and 15� (87W) MacBook Pro at full speed via the Thunderbolt 3 port.